Your iPhone/iPod cable…it’s a little long, yes? Like, so long that it gets stuck on stuff in your bag? Ours do, and it’s one of those annoying things that we just thought we would have to live with. But someone was looking out for us when they created the Twig. It’s a short docking cable that happens to do a bunch of other stuff, too. 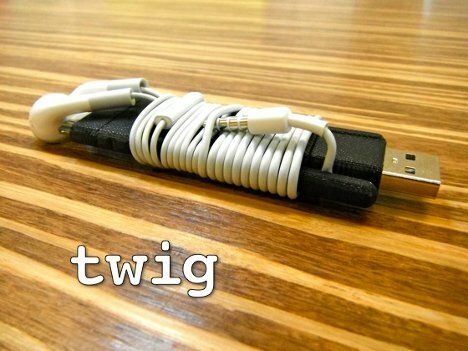 The Twig is four inches long and its skeleton is made up of bendy plastic-coated wire. 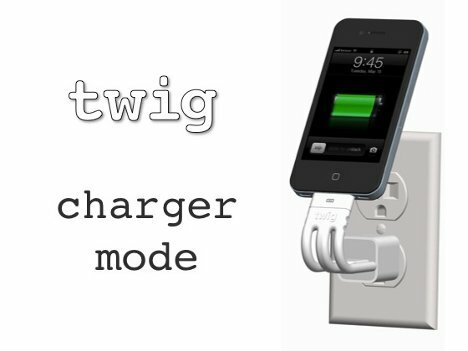 It can be plugged into your computer or a wall adapter for charging. It also acts as a tripod for taking pictures, video chatting, or holding your iPhone at a comfortable angle for a hands-free speakerphone call. We really like that it can hold your earbuds tangle-free, since those always seem to end up knotted and sad at the bottom of the laptop bag. Overall, the idea is simple enough that it looks familiar and common-sense, but it’s innovative enough that no one has made a docking cord like it before. 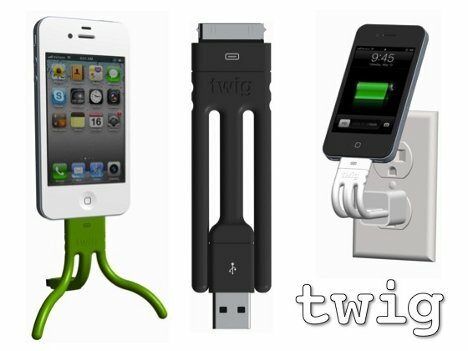 Because it’s compact and tough, you can throw the Twig in a bag or pocket and take it anywhere. 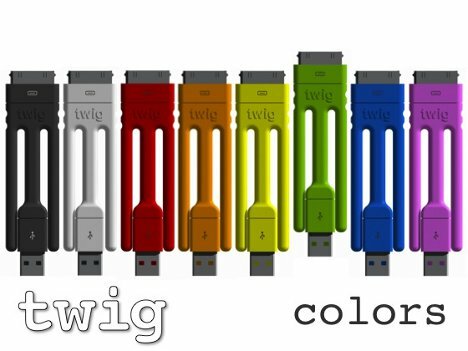 The project has already reached its Kickstarter goal, so the first generation of Twigs should be making its way to supporters soon.